Rated this on high base on great price super great customer service (you go Jae). Friendly, easy to move in. I got same-day service. The girl behind the counter was really sweet and helpful. She set me up immediately. She was even nice enough to help a customer who arrived a few minutes before closing. Glad this location was available. The on-site Manager was the best. front office very helpful in answereing all questions that we had. spacious units, friendly staff, 10 outta 10. The spaces are not the size as advertised. A 5x10 is really a 4.5x9, a 7x10 is really a 6.25x9. The walls are very thin and flimsy, anyone could bust into one of these units. They should be more honest about what they are offering and pro-rate your space when it isn't the correct dimensions. 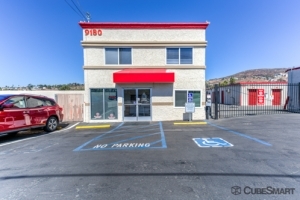 Friendly atmosphere and easy access. So far , good! Keep it up! We got in and out without a long wait. Monica was working and what a smile you get when you walk in. She know what she is doing and had us out the door in 8 min.This place is very clean and first months rent is FREE. 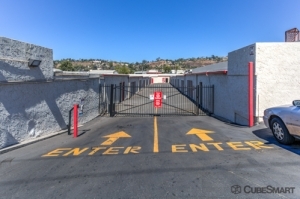 This is the best place in San Diego for storage. Outstanding overall and very professional customer service. 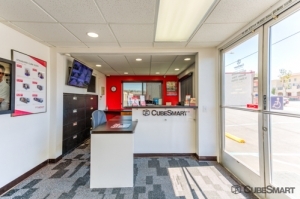 We needed a small storage unit rather quickly and CubeSmart Self Storage (0286) came through for us. We especially like that the Units are accessible till 10pm, that made a huge issue for us quite simple. The price & location were perfect and the facility was very very clean, compared to some of the other places we looked at earlier in the week. We really appreciate the staff and how easy they made it for us. Thank you so much and we look forward to doing business with you in the future. The manager went out of his way to help me when I arrived at his lunch time. very secure, nice people vey professional a bit pricey. Over all is alright I would recommend to my family and friends. Price wise is a bit expensive, like the promotions at the beginning when I first got here. People working here are very professional and courteous. Very fast and friendly service,they made it very easy. Customer service was Great .. Customer service was great .. She was great and friendly! Storage unit is easy to access . 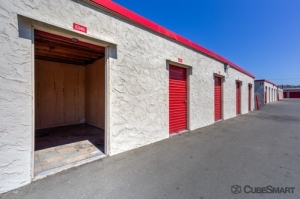 I recomended someone who also rented a storage unit there! Customer service was very personable, and helpful. Gave me a great deal on my first month that I didn't een know about. Love that they stay open later than most storage facilities! Overall experience was great, staff was friendly and helpful. I will recommend this to friends and family. Very quick and reliable. 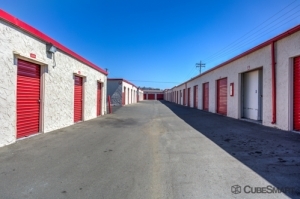 The customer service was amazing, very friendly and both reps made me feel comfortable about storing my stuff inside their storage units. I'd definitely recommend to others to use if ever in need of a storage unit. Very helpful and courteous customer service. 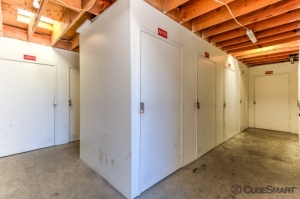 Good deal for the size of the storage room in comparison to what other storage facilities were charging. And trust me I did a great share of research to find a good priced storage place and landed here! It was ok person very helpful and friendly that took care of me. Manager very nice, was easy to move in. Super friendly staff. Hardworking and helpful throughout the process of moving in. Great experience. The storage was all ground level. No elevators or steps to negotiate. The biggest thing that stands out is the beautiful customer service I received. Outstanding!! Helpful and friendly service. The unit was dirty. 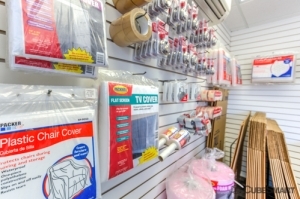 The paperwork was easy, customer service was good, and the facility was clean and sufficient. First issue I noticed was multiple cameras were down for the security. 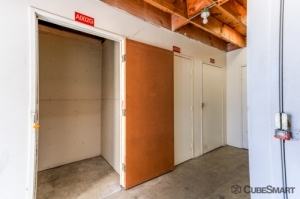 Another issue for me is it is hard to get into my storage unit because of the units door. To open my door there is a hinge (where my bolt goes through to lock the door). Even a nob drilled into the door would make me happier. I almost hurt my fingers a couple times trying to open my door. So far though I have been here for over 10 days and it is sufficient enough for me in the short term. The facility was neat and clean. The employees were courteous and helpful. I would recommend this facility to anyone. I just needed a little space to alleviate crowding in my house. The space was roomy especially in terms of floor space, and priced very reasonably. Basically a good experience. Online service was great. The day I went to do paperwork, the young lady in the office was very nice and helpful. I was a little surprised by the insurance charge as itâs not listed on the web site, I went ahead with the rental as itâs still a good price. We went an looked at the space and I told her I didnât think everything would fit but could we go ahead and get it and then change if need be. Answer was yes. No on to move in day, we get there and sure enough to small, the nice young lady was gone and in her place was a smarty pants young man. He made sure that we knew we were inconvenient for him and cutting into his lunch. Also did his best to make sure I felt like an idiot because I got a space to small. I would recommend the facility to friends, but tell them if this young man is there come back on another day. Nice facility. Hope to have a good experience. So far I am very pleased. EASY TO FIND.. NOT TO BUSY.